Millions of murdered prisoners, barbarous experiments, and inhumane living conditions. See the world's greatest symbol of genocide. Stroll along the cobbled streets of Krakow brimming with centuries-old monuments and listen to singular legends and stories. Gaze at magnificent mountain sights, sample traditional cheese made by locals, and visit the greatest ski jumping hill in Poland! Pay a visit to the birthplace of John Paul II. See Wadowice and explore the religious heart of Poland - Czestochowa. Our seasoned shooting instructors as well as wide selection of rare guns ensure safe and lively fun for firearms enthusiasts. Try delicious Polish cuisine and a see a Folklore Show at Karczma Skansen Smakow. Pay respects to the victims of the horrific killings on your Auschwitz Tour from Warsaw. Unparalleled combination of educational sightseeing and fun nightlife. All this during one stunning trip! Let us show your around the most noteworthy sightseeing spots in Warsaw–the city once razed to the ground! See the most important sites connected with the Jewish population and hear unbelievable stories of the Jewish ghetto in Warsaw. 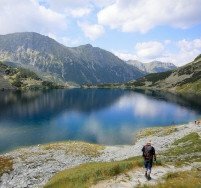 Hotel Aquarion offers accommodation in Zakopane, a few steps from Zakopane Aqua Park and 1.7 km from Pardalowka Ski Lift - which make it a perfect location for Family holidays! Book Wroclaw Sightseeing Tour and explore the city's unique architecture and atmosphere. Discover Wroclaw's most important places and enjoy a Ninebot training session! Feel the magic atmosphere of Wroclaw and discover one of the most beautiful Polish cities at night! Located in the very heart of Gdansk Old Town. The hotel comprises newly renovated premises in 18th century tenement houses where they offer 32 rooms, a restaurant and conference hall. Interior design is a unique combination of old architecture and contemporary style. 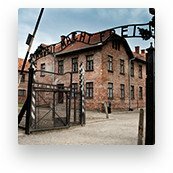 See Auschwitz - the biggest Nazi Extermination Camp and learn about the Holocaust. Tired of soaking wet and always trying to find the right route? Let us pick you up from the airport and take you straight to your destination. Join our new project created for educators willing to broaden their knowledge about World War II in Poland and considerably improve their methodological strategies! Make your lessons full of interesting facts and engaging stories. 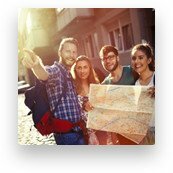 To take advantage of our amazing individual discounts gather a group of at least 6 people and let us help you organize an unforgettable trip!